Born in Victoria, Charles spent his early years in Kelowna and moved to Vancouver in 1933. While at UBC, Charles was active in the workings of The Ubyssey newspaper and Phi Delta Theta fraternity. After graduating with a degree in bacteriology, he spent time with the Royal Canadian Navy until the end of WWII. On September 12, 1947, Charles married M. Elaine Rogers, BHE’46, and moved to Montreal to work as a research scientist for Ayerst. In 1948 there was another move to Ames, Iowa, to attend graduate school. Charles obtained a PhD in microbiology in 1953 from the University of Iowa State – his post‑doctoral studies were at Oregon State College. Charles and his growing family spent 28 years in Manlius, NY, where he was senior research scientist in microbiology with Bristol Meyers Squibb. 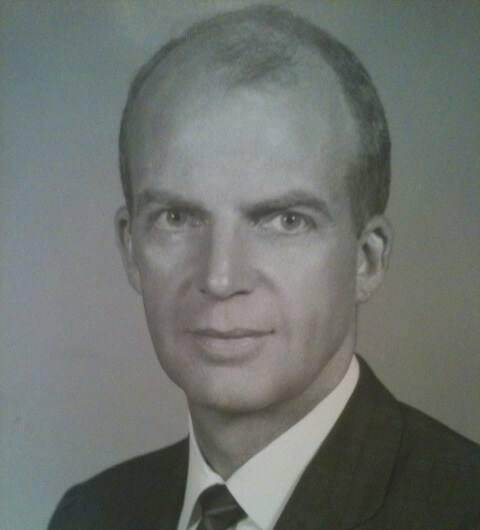 He really doted on the lives and activities of his immediate family, which included Boy Scouts of America, Trinity Episcopal Church, Cazenovia Ski Club, and the Syracuse Camera Club. In 1986 Charles had instant retirement from Bristol due to a stroke but overcame the many physical obstacles. In 1986 he moved back to the Northwest to Woodinville, WA, where he was a scientific consultant for Pan Labs of Bothell, WA, and Taiwan. At 69 he decided to really retire and take life a little easier. He was a member of the Puget Sound Camera Club and helped found the Puget Sound Society of Industrial Microbiology. Elaine and Charles travelled considerably and visited England, France, West Indies, Panama Canal, and many parts of his beloved Canada. Charles is survived by his wife, Elaine, and their five children – Anne, Bruce, Fraser, Catherine, and Emily – and 11 grandchildren. Charles was a prince of a man and will be greatly missed.